Don't keep all your eggs in one basket. I'm sure you've heard that said. It couldn't be more true in online business. 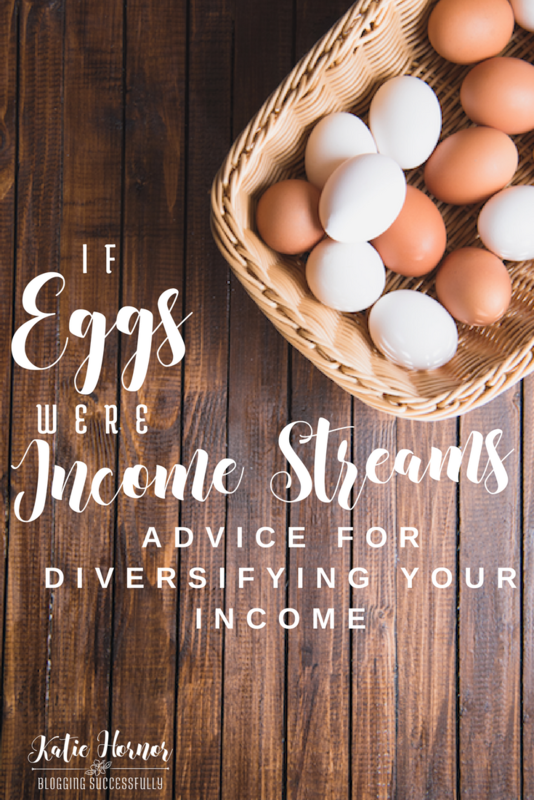 You can never depend on just ONE stream of income to float your ship but should diversify. This is why many millionaires have upwards of 10 different ways they earn money. Tap and I are not millionaires by any means, but we are diversifying. 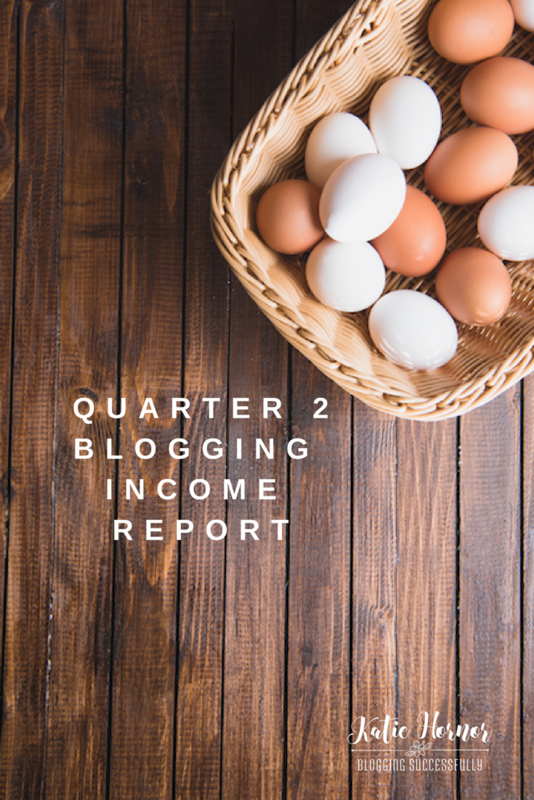 Here's what our “eggs” looked like in Quarter 2, 2017 (and I do use affiliate links in this post *wink*). 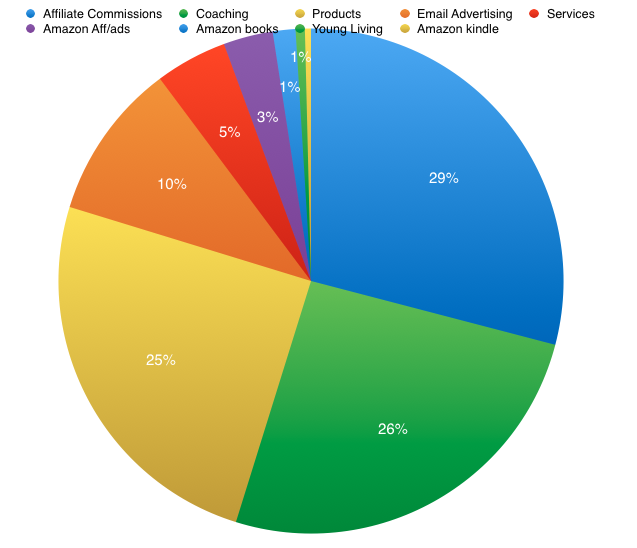 Amazon pays 30-60 days behind and we didn't have many sales at the beginning of the year, and not much ad traffic, so no Amazon payout this month. This month we participated as an author in the Build Your Bundle Homeschool Sale. Fabulous opportunity for curriculum creators and affiliates alike. Earnings would be paid late June. 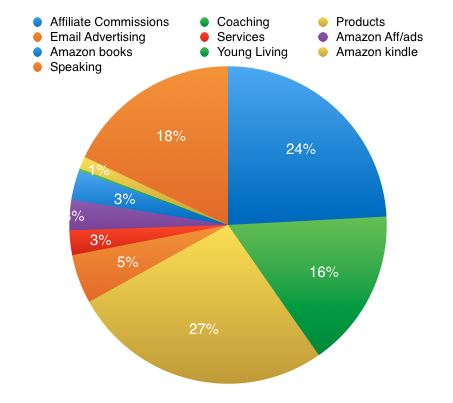 Here is a visual of our total first 6 months earnings broken down into 10 total income streams. You can see that overall Affiliate Commissions, Coaching and my own Products/membership site are consistently the largest streams. Another thing to understand when you begin to blog for profit, is that a blogger is self-employed. No one is paying your benefits or setting taxes aside before you get your checks. You are responsible for your own income reporting, income taxes, state sales taxes, health care, insurances, etc. You have to take all of this into consideration when calculating your total profit from blogging. I use GoDaddy for this and love them. I always recommend you DO NOT buy your domain and your web hosting from the same people. ConvertKit – my favorite. A very robust software. As for next quarter… We've cut out some apps and subscriptions that had not proved to help our bottom line, and we've evaluated where we're spending our time. We're also going to be offering a couple new services: WordPress Maintenance and Twitter Management. In Quarter 3, we're working to get my book ready for release in Quarter 4, we'll have another Open Cart for The Blog Connection and we'll focus a bit more of our efforts on teaching and gaining visibility in new crowds, including our Blogging Successfully Retreat September 30th. The podcast, we've realized, is also taking more from the bottom line that it's giving. We plan to revisit that strategy in Quarter 4 and find creative ways to make it earn more in Season 2. I love that online business is so fluid, and versatile and that it's always changing. It keeps me learning and keeps me on my toes.